“I think maternal mortality is everybody’s business,” explained Magdalene, when discussing who should be targeted as part of community education efforts in her home county of Grand Bassa, Liberia. Magdalene has worked here for over 10 years as a nurse, including as the officer in charge of a rural clinic, before joining Americares in 2015, during the Ebola crisis. 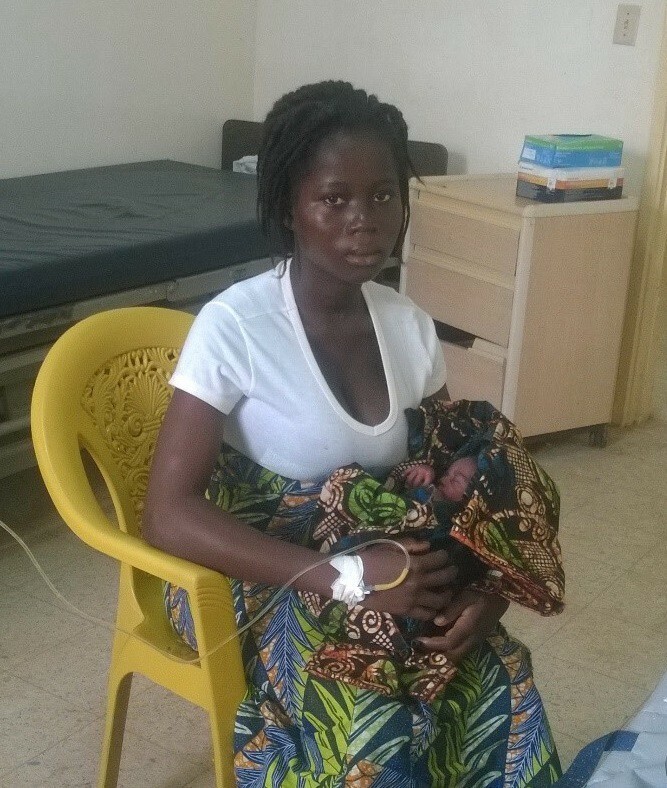 Given her experience, she understands the urgency to address the overwhelmingly high maternal mortality ratio in Liberia. This ratio was last estimated by the country in 2013 at 1,072 deaths per 100,000 live births, which is almost five times higher than the estimated global maternal mortality ratio of 216 per 100,000 live births in 2015. 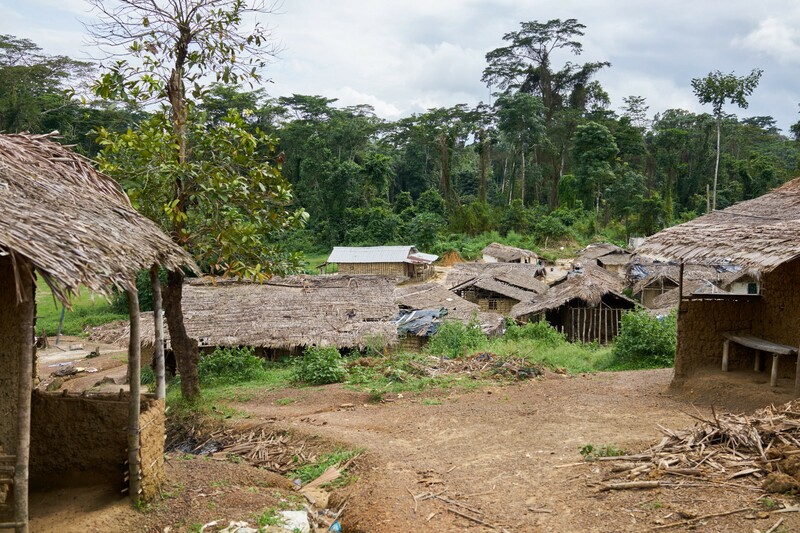 It is incredibly difficult to access many remote communities in Liberia, such as John Logan Town, pictured above. This presents numerous challenges when working to spread information and awareness about how to reduce maternal mortality. In her position as Senior Community Engagement Officer with Americares, one of her many roles is to work towards reducing the maternal mortality rate through spreading awareness about factors contributing to maternal death, and how to prevent and address them. While Americares also works to build the capacity of health workers to deliver high-quality Maternal, Newborn, and Child Health (MNCH) care, “We think it is very important to engage everybody when it comes to maternal mortality reduction. You cannot do it with the hospital alone — by training the hospital staff alone — you have to engage other community structures,” Magdalene explained. Magdalene knows that increasing access to information about the benefits of delivering at health facilities and MNCH health topics could help decrease maternal mortality, as well as other MNCH-related morbidity and mortality. From 2008–2013, for example, only 40.2% of live births in the county occurred in health facilities. This is a critical opportunity for community interventions, as the complications that result in the majority of maternal deaths, including severe bleeding and infections, can often be prevented and addressed by trained health providers. While there are many other factors that also need to be addressed for delivering at a facility to be a feasible option, encouraging communities to access care when and where it is available, is an important part of the solution. As part of a holistic approach, Americares is also working to improve overall access to skilled care at nearby, trusted, and cost-accessible health facilities in the county. In rural Liberia with limited road infrastructure, funding constraints, and a widely dispersed population though, how can you reach those who cannot attend social mobilization or outreach events? This is where the Americares staff in Grand Bassa and the Grand Bassa County Health Team have decided to turn to radio. 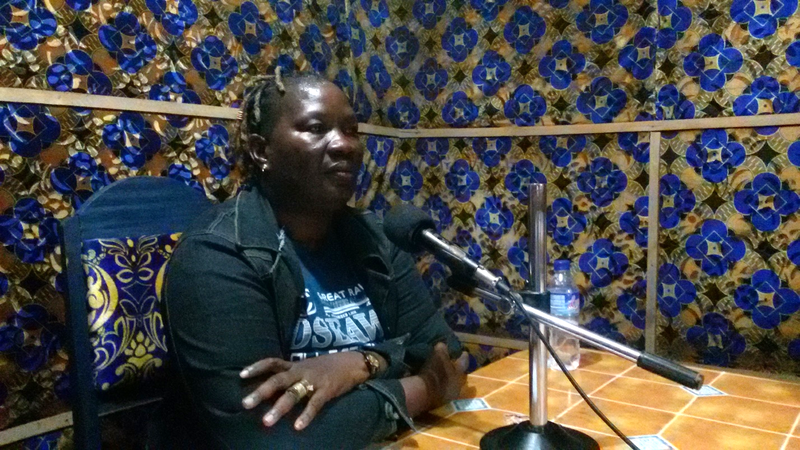 Magdalene, pictured above, hosts radio shows every other week in Grand Bassa County, educating the community about maternal, newborn, and child health, fistula, family planning, and sexual and reproductive health topics. Radio is the most widely accessible form of mass media in Liberia. 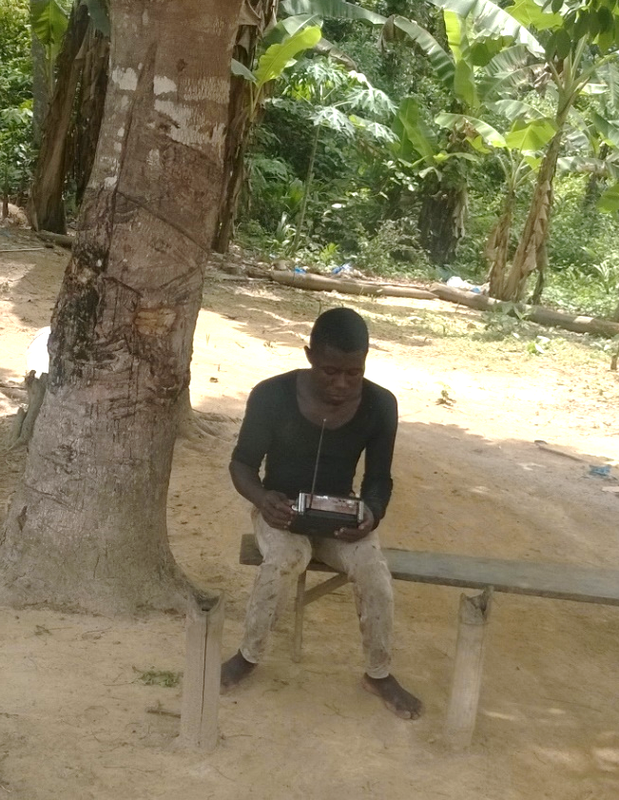 In 2013, 58.9% of households across Liberia were estimated to have a radio (66.7% urban and 48.8% rural). It is also the most frequently accessed form of mass media in Grand Bassa County, compared to newspapers and television. In fact, in 2013, 36.5% of women and 53.3% of men between 15–49 years of age in Grand Bassa were estimated to listen to the radio at least once per week. Since December of 2017, Magdalene has hosted a radio show every other week for one hour, spoken in the most widely spoken local language, Bassa. The show revolves around MNCH, fistula, family planning, and sexual and reproductive health (SRH) topics, and she co-hosts the show with the reproductive health supervisor for the local district. Magdalene explained “we are always working along with the County Health Team and they will bring their input — we are partners.” By working together, Magdalene can coordinate her messages with the County Health Team’s existing messaging. 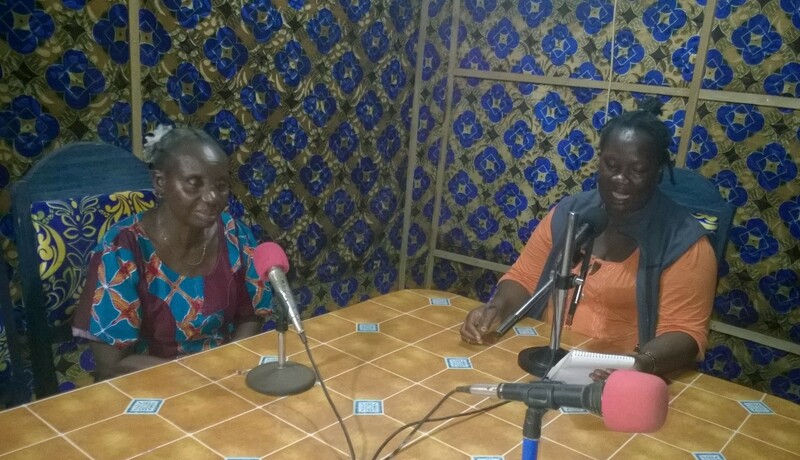 Americares works closely with the Grand Bassa County Health Team, and Magdalene hosts her radio shows with Mrs. Geffie (left), the reproductive health supervisor for Buchanan district, to coordinate messaging. The radio program reaches communities all over Grand Bassa County, even as far as where Emmanuel, pictured above, lives near Zondo community. Emmanuel listens intently to the Americares radio show every other week, as he says it talks about the exact issues facing the community. Liberia Institute of Statistics and Geo-Information Services (LISGIS), Ministry of Health and Social Welfare [Liberia], National AIDS Control Program [Liberia], and ICF International (2014). Liberia Demographic and Health Survey 2013. Page 284. Liberia Institute of Statistics and Geo-Information Services (LISGIS), Ministry of Health and Social Welfare [Liberia], National AIDS Control Program [Liberia], and ICF International (2014). Liberia Demographic and Health Survey 2013. Page 124. Liberia Institute of Statistics and Geo-Information Services (LISGIS), Ministry of Health and Social Welfare [Liberia], National AIDS Control Program [Liberia], and ICF International (2014). Liberia Demographic and Health Survey 2013. Page 14. Liberia Institute of Statistics and Geo-Information Services (LISGIS), Ministry of Health and Social Welfare [Liberia], National AIDS Control Program [Liberia], and ICF International (2014). Liberia Demographic and Health Survey 2013. Pages 40–41. Americares Africa and Middle East Programs Team. Based in Liberia with Americares Country Team.